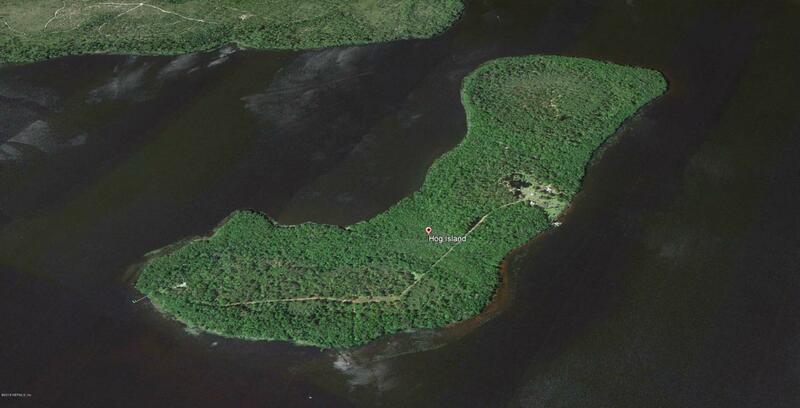 Hog Island (Belle Island)Have your own kingdom on a private island! A set of unique properties are now on the market for someone who really wants to get away from it all.Living and working in densely populated cities means that most of us, sooner or later, crave a life away from noise and people. This group of properties being offered for the first time ever will provide exactly that. Hike, hunt, fish and boat in total seclusion an hour from Disney. Submerge yourself in nature on your own 237 acres of pristine Florida wild country. Venture into the forest and see deer, turkeys, bald eagles, bobcats and even a resident bear. 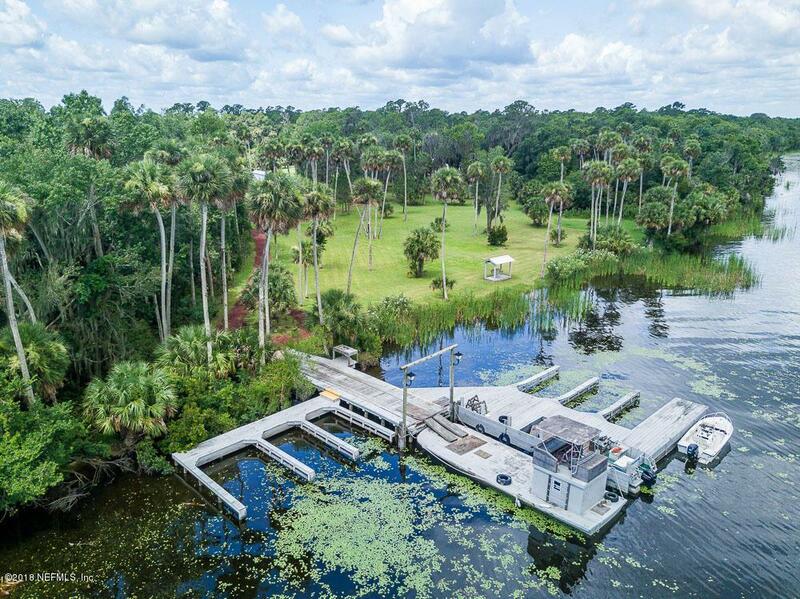 Take your boat out for the day on the St. Johns River, Lake George, or the beautiful springs that are an easy distance away.Fish in a place so special that people travel hundreds of miles to experience it! Try the excitement of an alligator hunt with one of the experienced guides in George Town. If you want to decompress inside, the island offers 3 totally renovated furnished cottages. They have a total of 8 bedrooms so you can invite your friends and family. Meet your guests on the mainland at your own quaint reception center, which is the oldest existing one room school house in the county (1899) All the locals have fond memories, and stories of their school days in that building and it is a great place to greet your guest, before you take them to your private mainland dock and then on to your private island. Highlights of the Island are: Miles of nature trails, 3 cottages , A helicopter pad, Multiple docks (2 are heavy duty), A wood equipment barn, 3 ponds, bridges, and a gazebo, A metal equipment storage barn, a large shop and other structures, All the equipment needed to maintain the Island, A reverse osmosis treatment plant, A playground with a playhouse, All efforts have been made to make the island completely turnkey, unlike most islands; this island has its own connection to mainland power, phones, intranet and wells for water. The island is only accessible by boat, helicopter or float plane. Also included in the sale are two mainland properties: An island keeper's residence along with a boat, metal staging barn, and a private heavy duty dock on its own buildable waterfront lot, to access the island. A lovingly restored one room school house to be used as the Island Reception center, As is suitable for a hideaway, the island is somewhat remote, but is situated in Florida's best and second largest lake, Lake George, which is also part of the 340 mile long, north flowing St. John's River. The island is nearly equidistant from Jacksonville, Ocala, Orlando, and Daytona with historic St. Augustine being a bit closer. It is bordered on the west side of the lake by the Ocala National Forest and on the east by Georgetown. Whether this special place is a millionaire's private bolt-hole, a family's compound, a corporate retreat, conservation land, or something else, this is a singular chance to acquire something that is almost impossible to find. It is a beautiful mostly natural, large private island with its own mainland access and everything is move-in ready right down to the furnishing. The views are absolutely astounding! Where in the world can you have a large private island (maybe the largest currently available in Florida) with a warm climate, close to a number of cities but out of reach to all of them, with a stable banking and political environment and where you can fish, hunt, crab, farm, build a dream house or just live and enjoy the wildlife in natural splendor and still be about 1 and 1/2 hours from Disney? There is only one place and this is IT!